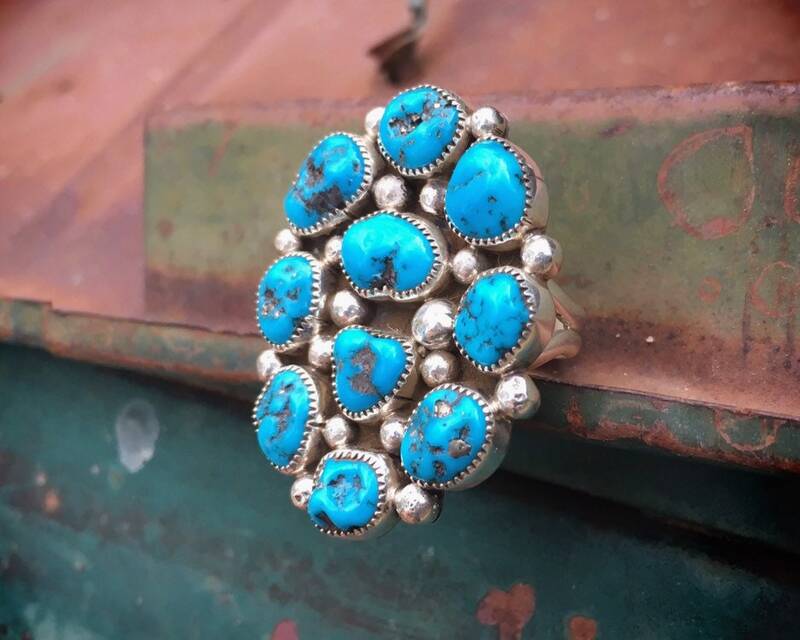 The ring is Size 9, and the ring face measures 1-1/2" long by 1-1/4" wide. 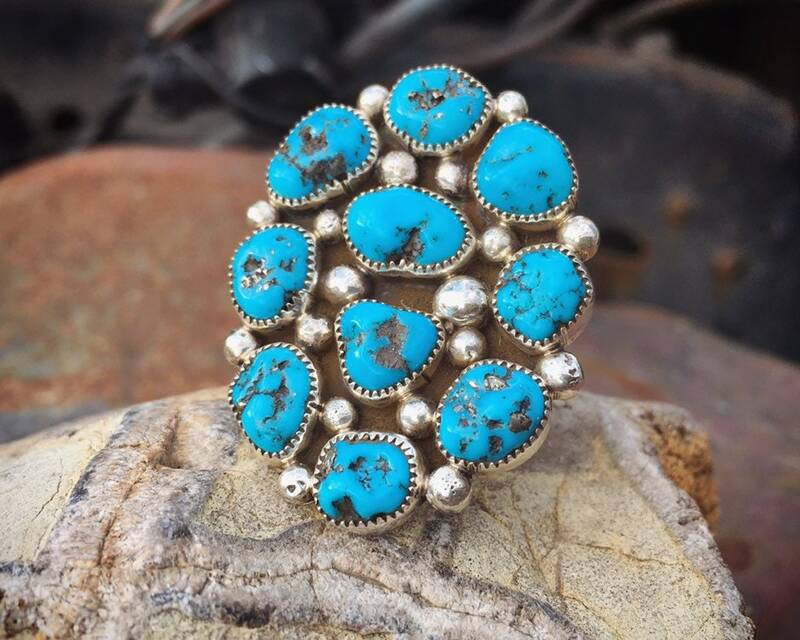 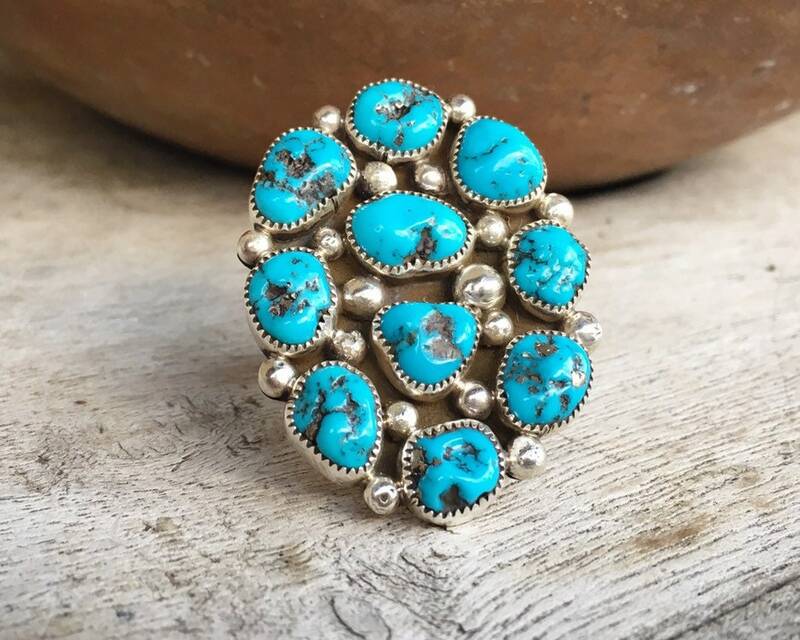 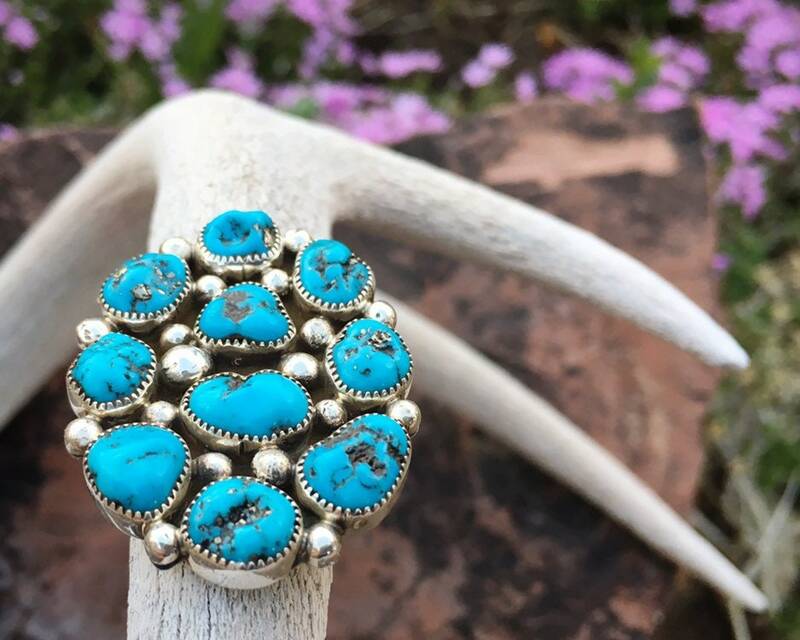 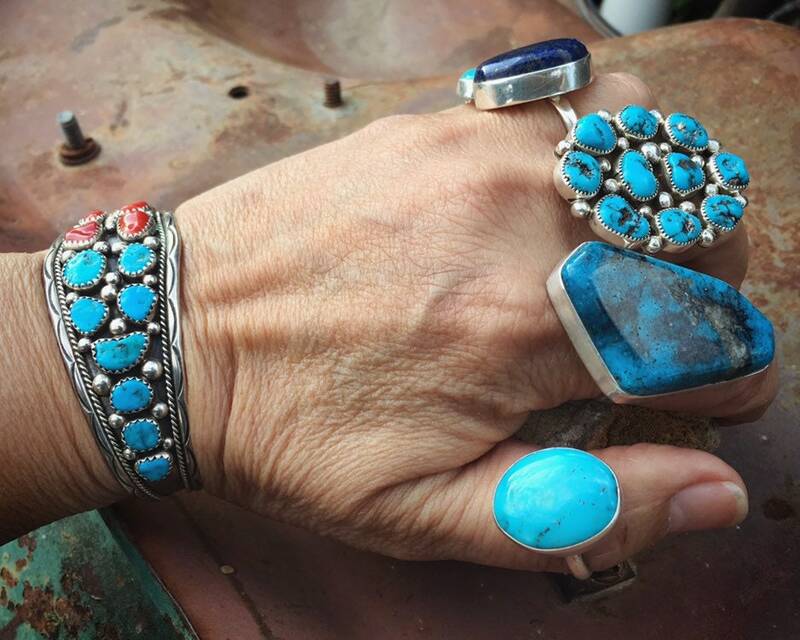 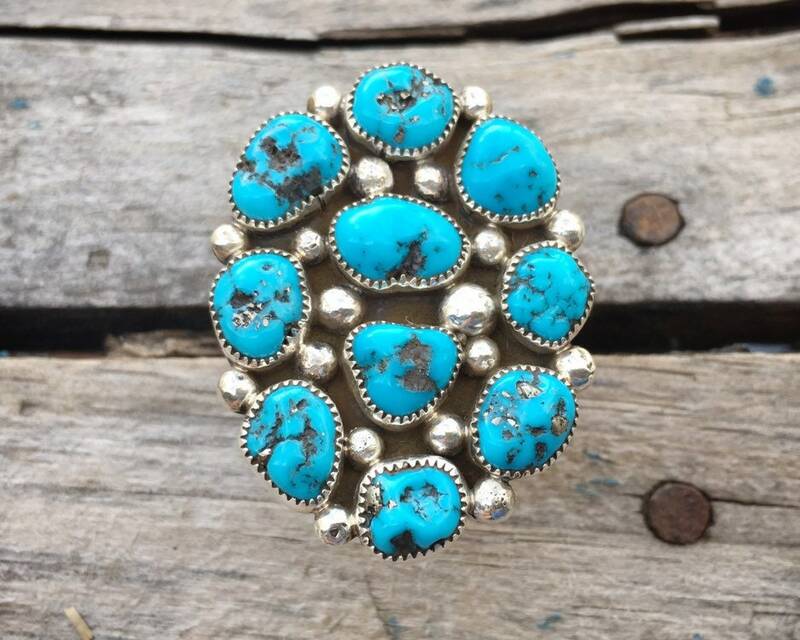 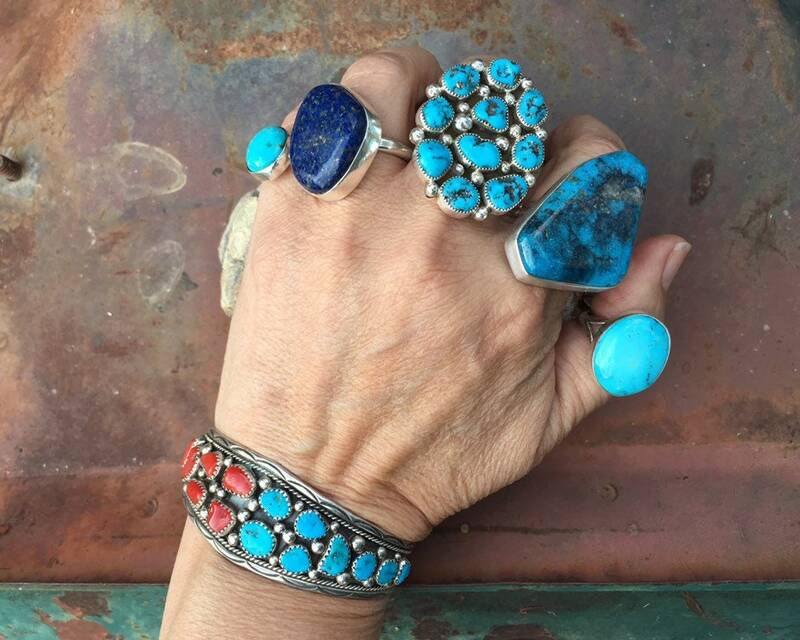 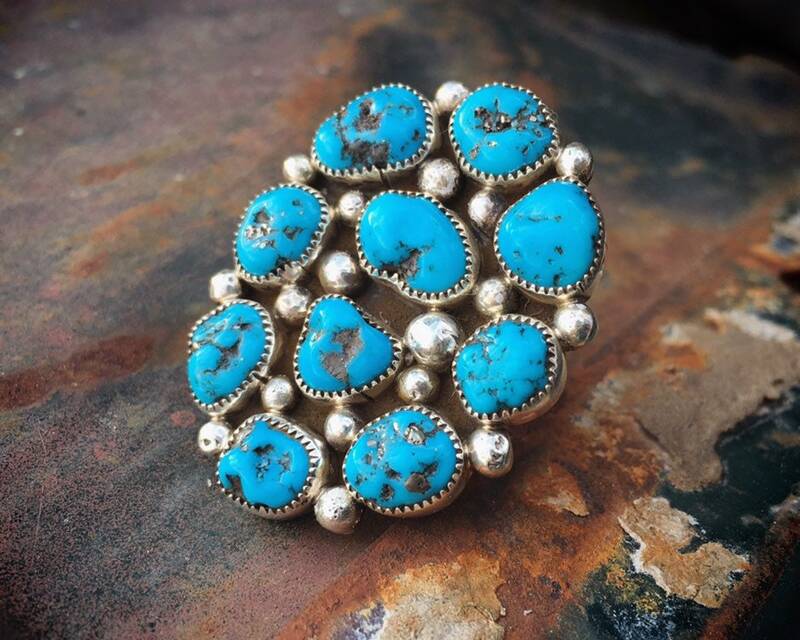 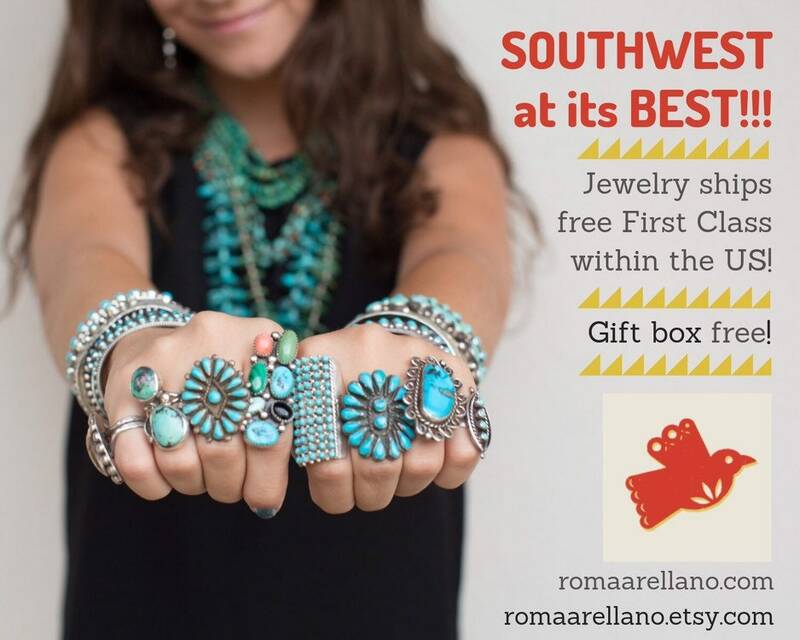 Ten turquoise pieces altogether. 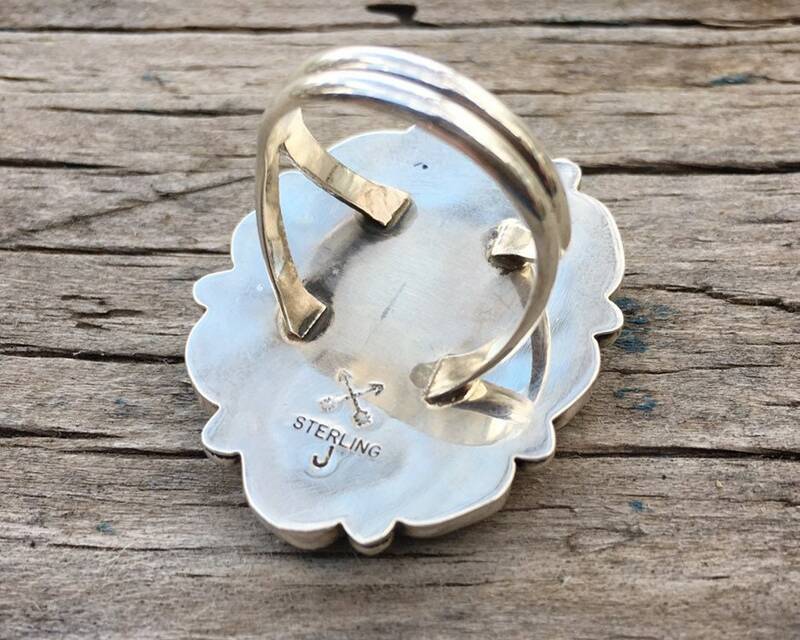 Some scratches on the back silver but otherwise all pieces are well seated.